Gab, the notorious free speech platform among the reactionary right, has announced its decision to adopt an “invite-only system” following continued scandals surrounding not-so-secure security software and continual blacklisting from financial institutions due to user radicalization. This isn’t the only problem Gab has faced over the last year. In November, domain providers and payment processors such as GoDaddy, PayPal, Medium, Stripe, and Joyent blocked all their connections with the platform following the news of Robert Bowers, the 46-year-old white supremacist, using the social media site to plan the Pittsburgh Tree of Life synagogue massacre. His actions, conducted in the name of anti-semitism, resulted in the deaths of 11 Jewish people. Such horror — enabled by the cruel meme of “the marketplace of ideas” — cannot be overstated. As the FBI/DOJ began their investigation into the small-time Twitter competitor, the site was anywhere between non-functional and surviving off the welfare cheques of crowdfunding giants such as StartEngine. According to their financial filings, Gab has lost $350,000 since its August 2016 launch and paid subscriptions have gone down 90% over the last few months. Now the site appears to be heading towards a possible shutdown as reports from The Daily Beast indicate the site’s founder, Andrew Torba, violated the law through a case being handled by the U.S. Securities and Exchange Commission (SEC). The report details how the site has continually defrauded investors by inflating their user numbers, claiming to have more than 850,000 last year when there’s the possibility of spam accounts, duplicate accounts, inactive accounts and, as we’ve seen recently, market cyber-attacks where 50,000 bots can suddenly flood the site within a 24 hour span. What was Gab’s defence? “It could be a state actor or a very skilled team who was hired to do this. Did activist bloggers learn to code or something?” Torba expressed in a post, crediting the influx to some unspecified deep state since it happened shortly after the government shutdown, leaving the audience to determine whether the government is trying to hurt their case. Torba tweeted out the original Gab post in an attempt to debunk the “fake news” reporting on his beliefs. Of course, the post didn’t debunk anything. It just shows Torba making a speculative claim about the government’s involvement and his audience deriving the intended meaning as some kind of “deep state” plot. These claims, whether accidental or malicious, surely won’t help Gab in their attempts to sell company stocks. The investigation details how SEC regulators have stalled to approve Gab’s position within the SEC’s Regulation A program, which in layman’s terms means the company is being prevented from raising their $20 million from potential private investors in stock offerings approved by the commission. To be charitable, this is the slimmest example media outlets could find of a state actor hurting the company, though Beirich’s team found no communications between the SEC and Gab have been filed. Could this be an over-the-top nefarious plot against their far-right cause, or is the commission just slow at ensuring they’re honest actors? The fact that Gab’s finances rely on the JOBS Act of 2012, an Obama-era policy designed to help start-up businesses raise $1.7M in funds, is quite an ironic way for this deep state to somehow curb their enemies into non-existence. It could just be that Gab is bad at business — a fact that would hurt the far-right’s feelings. 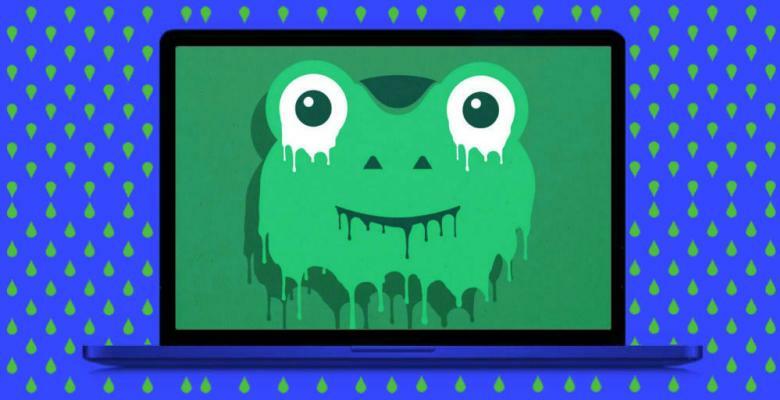 As written by journalist Kelly Weill, Gab has a routine of blaming “shadowy bot campaigns” for its own free-market failures. She cites a “forced public statement” from June where Gab executives admitted to receiving death threats from their own users, which Torba blamed on far-left activists at Shareblue instead of his base of alt-righters disappointed with the site. Shareblue didn’t even know Gab existed.